i started by stamping flowers on smooth bristol in distress ink colors to coordinate with the clean color markers i planned to use for no-line watercoloring. 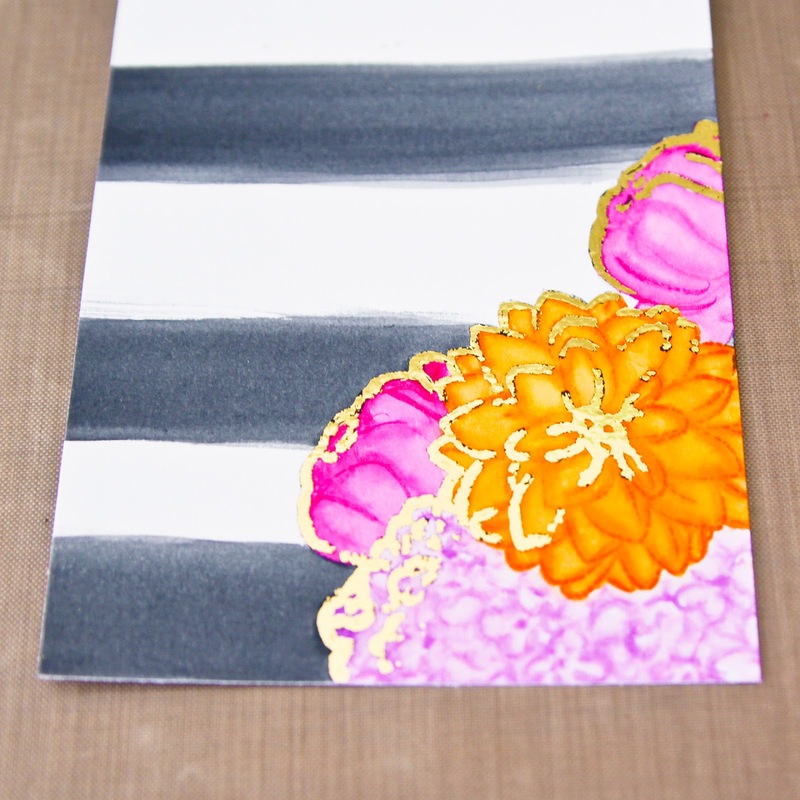 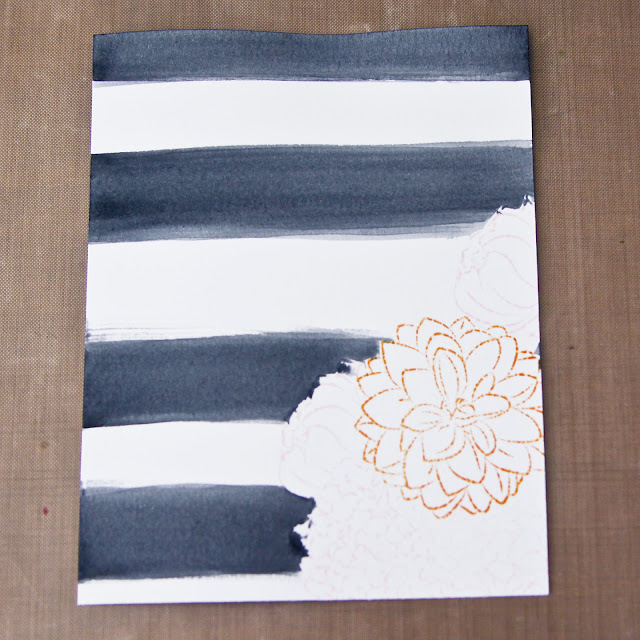 i applied masks over my flowers and then painted wide stripes with distress ink black soot. 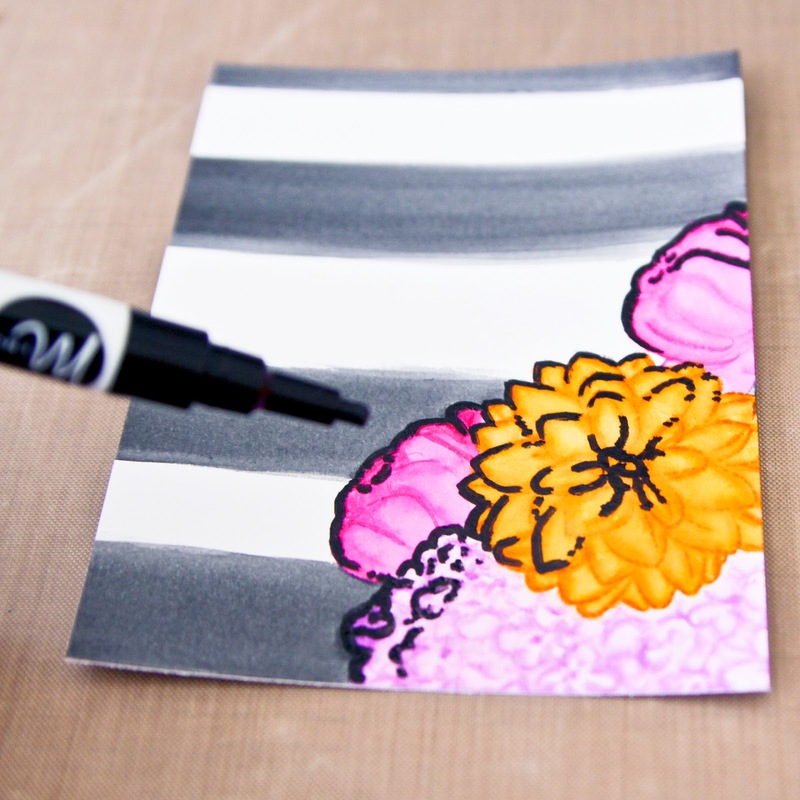 i removed my masks and colored my flowers with clean color markers. 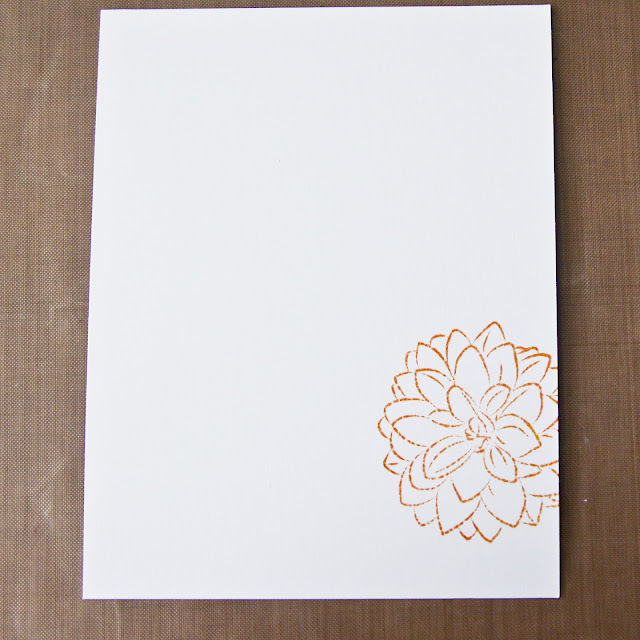 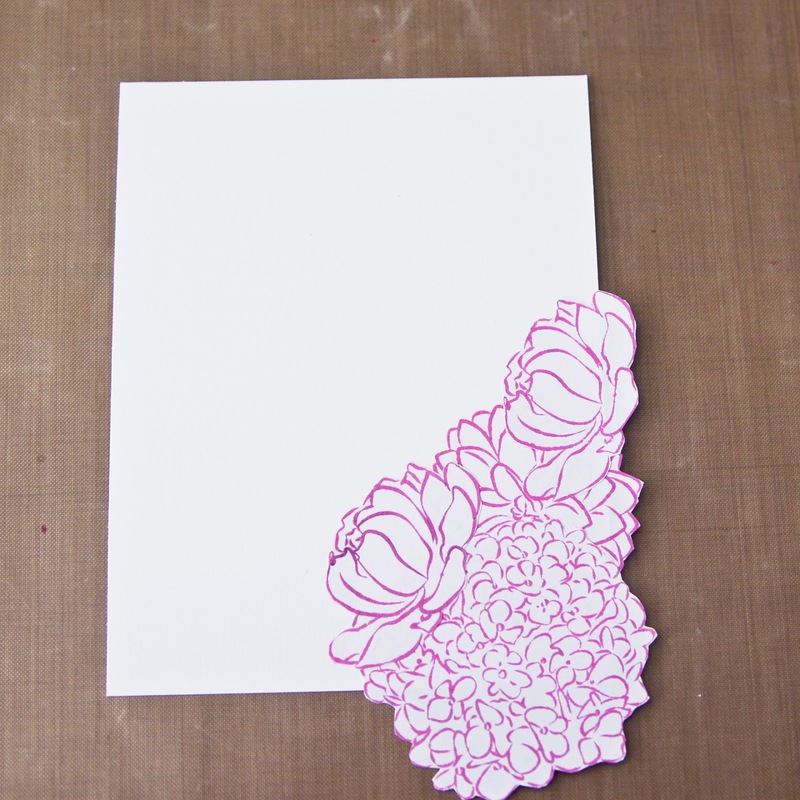 then i added a few highlights to flowers with a toner pen and ran it through my laminator with gold foil. 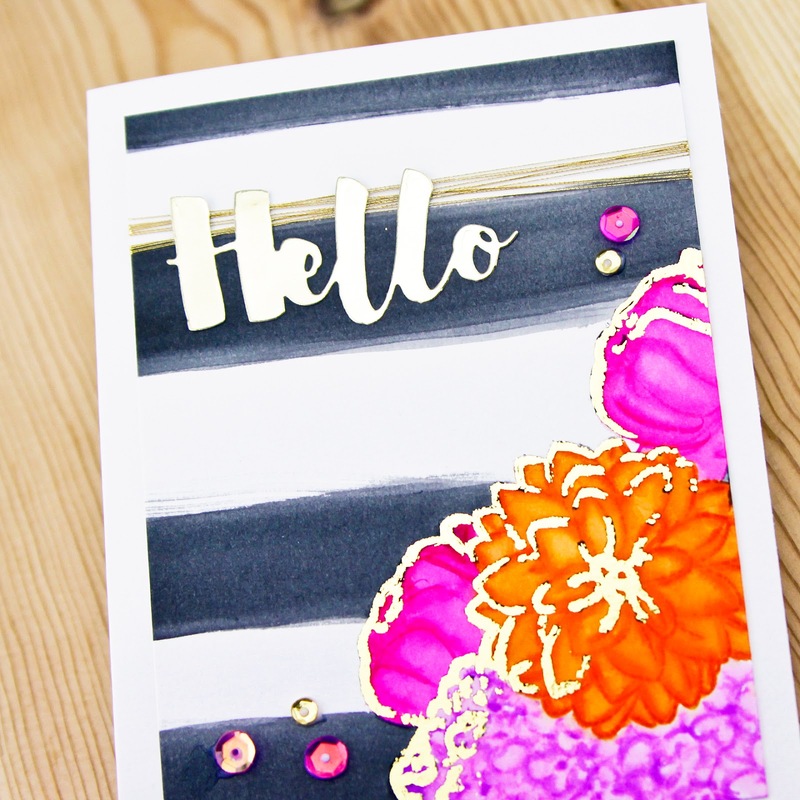 i trimmed the panel down, wrapped a little bit of gold thread around the top and added "hello" cut from gold foil paper. 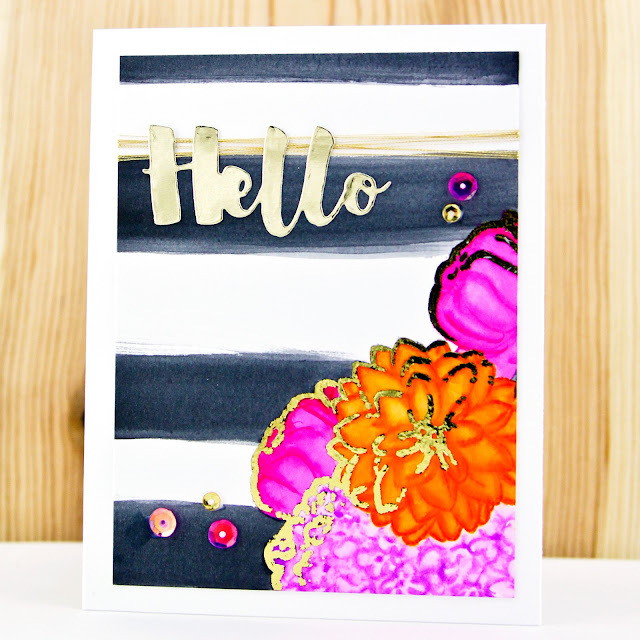 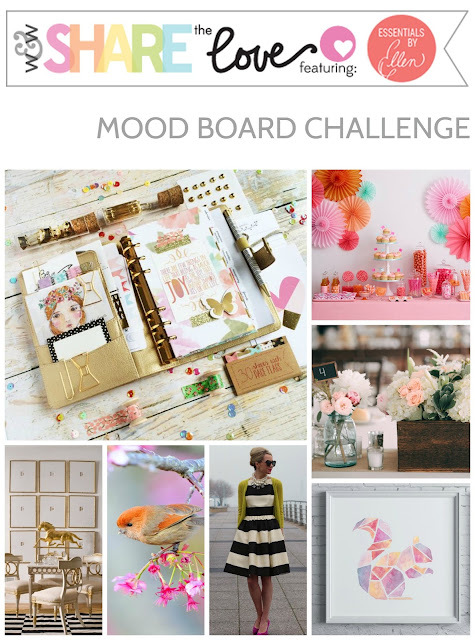 thanks for stopping by and i hope you have played along with the fun challenges this week too!